I am seeing an increase of those who are purchasing birds off of internet sales, and this has me very concerned. Not only are individuals doing this, but now those in rescues are also getting involved? The same people who have been saying that birds should not be purchased ever, are now doing exactly what they have said shouldn’t be done??? At what price are these birds truly being purchased for? And no I am not referring to the actual dollar amounts. Are we “saving” one so that only others will be following them tomorrow? That is exactly what happens a huge percentage of the time! So once again, who is truly paying the price for these birds…sadly it is all the babies that are being bred and born and sold and resold again. This has to stop! We cannot claim to be rescuing birds, if we are paying a ransom to the same people who are breeding and selling them for a profit! If those in rescue are going this route, what does it tell the general populace? Isn’t this an exact contradiction to what we have been teaching? I keep reading the same excuses…..I couldn’t find a bird that I wanted in a rescue, there are no rescues near me or buying off of these ads is saving them….PLEASE just Stop! All Excuses!!!! 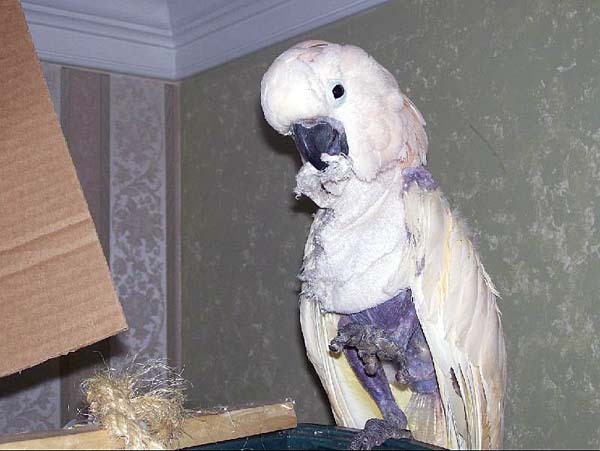 We can keep on fabricating why we are doing this and come up with excuses and reasons, but the truth is….If you are in Rescue…you do NOT purchase birds. I get messages weekly from folks asking me to take in their birds for free…and I am not even running a rescue. What about all the birds already in rescues? What about the ones who have been waiting and in need of a home? How on earth is this helping? If “we” who are in rescue, now take the stance that it is ok to “purchase” a bird…where will the line be drawn? How will the general population know when and where it is ok to purchase and not to purchase. We are creating a huge grey area, in which we are completely contradicting the values we have been trying to teach for so long. Those who are not as close to the issues, will just see this as another excuse to make purchasing a bird ok. I can see it now, “well I am buying this bird from a pet store…because I am saving it” or ” it is ok to purchase off of ads because so and so does it and they are a rescue group” or ” I wanted a specific species, so it is ok to buy it since I can’t find one in a rescue”…….Get the picture? Handing over money to purchase a bird…is never a good idea. There may be some rare cases where the seller may not buy more birds to replace the one purchased, but nine times out of ten, that precious bird will be replaced with another and another. Plus there is the fact that if birds are not easily sold, then they won’t be bred in abundance any longer. This is what we NEED to happen. I am not so blind that I think breeding will end, but for the love of these precious angels…please please please STOP purchasing birds! You are hurting the very cause that we have been working so hard on stopping! 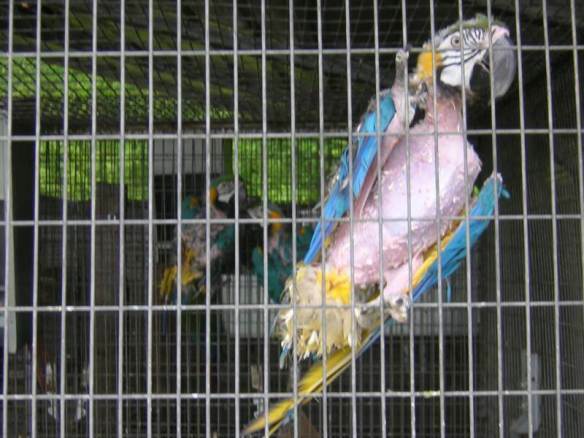 If there are less dollars going for the selling of birds…there will be less breeding! If this trait continues and we see the Rescues filling up with “purchased” birds…where will all the ones being surrendered go to? The Rescues are already so full and it is getting worse everyday. Where will all the babies go to when there just isn’t anymore room? Running a Rescue is very costly. The vetting, food and toy bills are astronomical already. Plus many need new cages upon arrival. Now add-on the purchasing of birds and where does that leave them? I personally will not donate dollars to a rescue that is purchasing birds. I also want to mention that in no way is an adoption fee the same as purchasing a bird.The adoption fees are small compared to what is actually spent on each bird. Reputable rescues take every bird upon relinquishment directly to the vets. Then depending on their needs, some have many many costly visits just to get healthy. Thousands can easily be spent on a bird in a very short amount of time and rescues only recoup a very small portion of this through their adoption fees. Where do you think all of those extra dollars come from? I will tell you, it comes from their own pockets, or folks who help with donations and fund-raisers. Reputable Rescues are NOT making any money off of these babies, in fact quite the opposite. They do this for their love of these precious ones. These babies are not cheap to care for properly. Most adoption fees wont even cover the initial vet fees. You also will have the a bird that you know the health conditions and full records so that their care can be continued properly. I am not heartless, those kind of ads break my heart as well. But I took a stand a long time ago that I would not put another single dollar into the hands of a breeder or anyone in the pet trade industry and I plan on keeping that promise. I will never again line the pockets of anyone making a buck off of these precious Angels! I will NEVER look into the eyes of my own babies and have to feel that I helped to further their plight! Is it easy to walk away….I cannot even begin to express how many tears I have shed over a bird in a bad situation. However I love them enough to do what is right to save more in the long run! We have rescues full of birds in need now. They I will support and do whatever I can to help get them the dollars needed to care for the birds already there. I also am very aware of how unpopular this article will make me with some, but I don’t care! My only concern is always going to be “For the Birds”. I don’t need to be popular, I just have to be able to look my own Angels in their eyes and let them know that I am going to continue to fight for them and all the others who are out there waiting for their voice to be heard! So for the love of these babies, please stay off of those horrible pet selling pages! 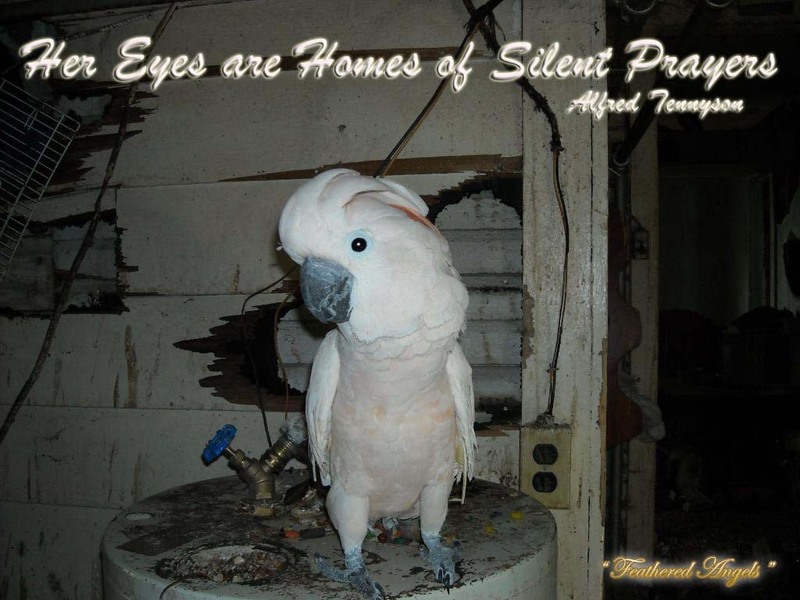 If you are going to be a “Voice for the Birds”…then at least have the decency to speak the Truth for them! Nail right on the head…..
People need to stay off CL. It is getting worse and we still don’t have enough homes available for the birds we already have needing homes, let alone ones we still haven’t even heard about yet. I am sad to say I don’t see this stopping anytime soon. People only care about what is in it for them and we live in a throw away society I’m sad to say. Selfish people is all it is. Poor animals. I am surprised why are people paying ransom when they can adopt a bird?? and how can there be no home for such lovely creatures? I too have fallen for beauty of these birds (for me all creatures are beautiful but parrots are special) and purchased one from a pet store only to realize that I have contributed to the misery of such beautiful angels. I didn’t have a slightest idea that some birds in some part of the world are living such horrible lives. Just a suggestion…perhaps we are not reaching out well in the public..the world is full of people who will happily take care of these birds…or am I wrong ?? I think most of us do purchase a bird before we understand what their lives are truly like. There is a very large group of folks who do work tirelessly in trying to spread education and help change the laws that will help to protect these beautiful angels and to stop the breeding mills from existing. The main problem is that birds are not as easy to care for as some would like to believe and while those of us who do love them and do everything we possibly can for them, many make impulse purchases and find out later that the mess, noise and expense is far more than they want to deal with. And so they are sold and resold or given to rescues. The rescues are literally filled to capacity and overflowing. Most rescues have a long waiting list for a spot available even. There are thousands upon thousands in need of homes now and just not enough people willing to adopt them. Birds bond in a way to humans that having to change homes creates a great deal of stress for them as well. So once they leave their first home, they are then carrying a bit of that with them and sometimes it shows up as unwanted behaviors ie screaming, biting etc. It takes time to show them that they can trust again. It takes a willing knowledgeable person to give them the time and commitment needed in order for the birds to change these behaviors. Then you have the longevity to factor in, many loose their homes due to their families dying. You also have to factor in that you now have a small child and cannot just run off on vacations etc. You have to have someone who can properly care for your birds and birds cannot be left alone for hours and hours each day. They are flock creatures and so they need constant companionship all day long. So while I wish that there was a loving home for each of these precious ones, their truly isnt and the breeding mills just keep pumping out these babies for the almighty dollar and with no concern for what lays ahead for these beautiful Angels. Why aren’t the rescues that actually do care about the birds doing something to shut these people down? I would speak up for what I know, and have. Sadly the Bob Barker Foundation wouldn’t lister or even check the references I gave them. Bob Barker would be very upset if he knew this happened, but he is not handling the money. Unfortunately the laws that protect birds are different than the ones that protect dogs and cats. And the ones who do care are working ever vigilant in getting the bad places shut down. 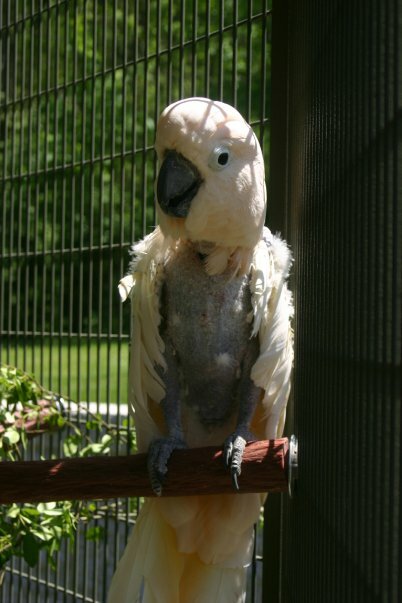 There have been many cases where seizures have been done and birds rescued. Sadly though there are still many more that need to be shut down and to do it properly, and legally takes time. Keep up the work hun and never give up….we need all the folks we can get helping to raise awareness. What many people fail to realize is, that by paying “Ransoms” on CL it is becoming another cottage industry. Cons are getting smart enough to look for free birds, and placing them on CL as a rehome, knowing there are soft touches who will pay those ransoms to get these birds away from them. While I understand the compassion, Criminals and Cons are making out off the backs of birds, which is no different than some of the sleazy breeders we contend with. Everyone profits but the bird. Couldn’t agree with you more! Well said! 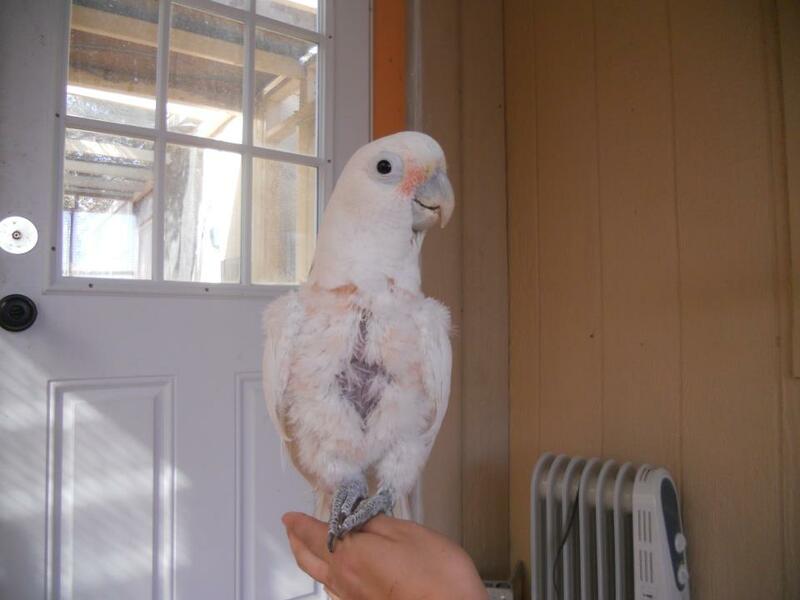 Do you think it is acceptable to deal with a private person on craigslist who truly is, and ONLY is looking for a better home for their birds? Do you think some people “advertising” on CL claim to have a “rehoming fee” only to weed out people who are not fit to provide a good home for an animal? Also, thank you so much for all the great work you are doing on behalf of these wonderful birds. I never go on craigslist due to the fact that there are so many in need already in shelters. You raise a good point though, I do believe some are just looking for a better home for their parrot. 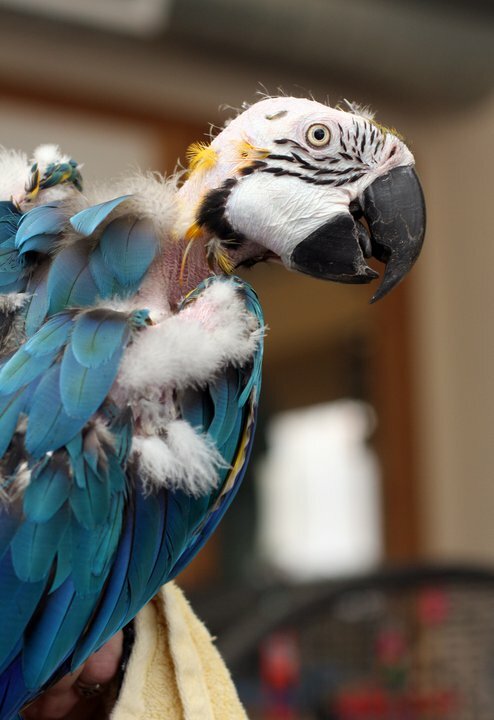 And it is possible that some ask a fee to weed out those who would not have the dollars to properly care for a parrot. Birds are very expensive to maintain properly with foods, vetting, toys etc.